Our most popular housing option, The “Founders” collection. A ranch home starting at 990 square feet and expanding to 2468 square feet available with or without a front addition. The front addition adds an extra bedroom, porch, coat closet and foyer. Standard with a 7/12 roof pitch. 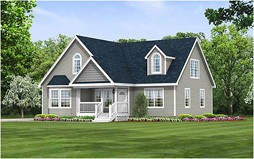 This series offers a 36’ Cape plan with optional Saltbox, Two-story and 2 car Garage. This Bonus Ranch design has 2810 square feet downstairs and 1418 unfinished square feet upstairs for a total of 4228 square feet. 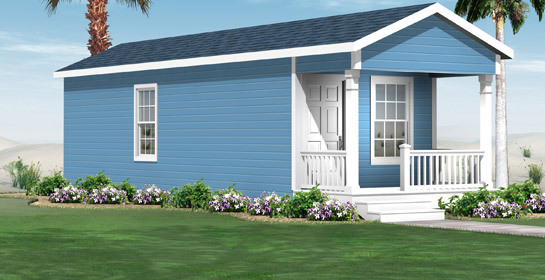 The home comes standard with 9’ ceilings, 9/12 roof pitch, bay window and a factory installed porch. This Bonus Ranch design boasts 2115 square feet of living space on the first floor and 1589 square feet of unfinished 2nd floor for a total of 3704 square feet The Asheville comes complete with a factory built porch, three bedrooms and two bathrooms. Four floor plans to choose from. Square footage ranges from 385 to 453 square feet of total living area. 1 bedroom, 1 bath, vaulted living room/kitchen design and full appliance package. 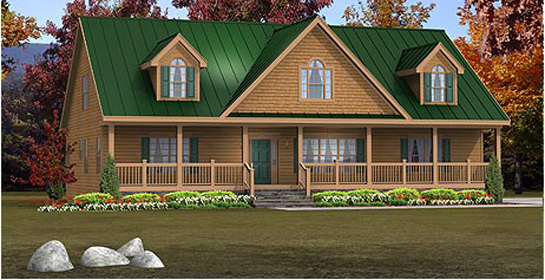 A perfect home away from home cabin / cottage for hunting, fishing, boating or even a mother-in-law suite. Truly one of our most popular designs, this home has 3 bedrooms, 2 baths and offers 1617 square feet of living space. Complete with a covered porch and bay window, this open design has a centrally located living room, dining room and kitchen. The large master bedroom and bathroom is accompanied by two additional bedrooms and additional bath. Shown with an optional 12/12 roof pitch, ½ moon windows, fanlight front door, dormer and cedar shake. One of our most popular Bonus Ranch designs, this home has 2786 square feet downstairs including 3 bedrooms and 2 and ½ baths. The additional 1492 square feet unfinished upstairs offers expansion potential. Standard with 9’ ceilings and a 9/12 roof pitch, the floorplan is designed with entertaining in mind featuring a large kitchen with an adjacent butlers pantry. The kitchen opens up to a Carolina room which can be used as a casual dining area or family den. The butler’s pantry connects to the formal dining room which leads to the spacious great room with built in wet bar. The home includes a bonus area with optional built in shelving and desk for use as an office. 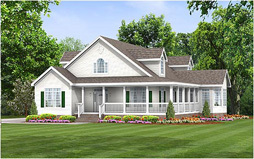 Shown with optional porch, 4’ dormers, front door, window transoms, palladium window and coach lights. 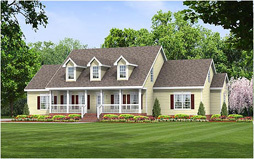 This beautiful Bonus Ranch design has a total of 3725 square feet, 2314 on the 1st floor and 1411 unfinished upstairs. This very spacious 3 bedroom, two baths home has a large great room with a gas fireplace option, separate study and formal dining room. The large kitchen has an adjacent breakfast area with a built in serving counter. Delivered from the factory with a covered porch included. Shown with optional dormers and window crossheads with keystones.